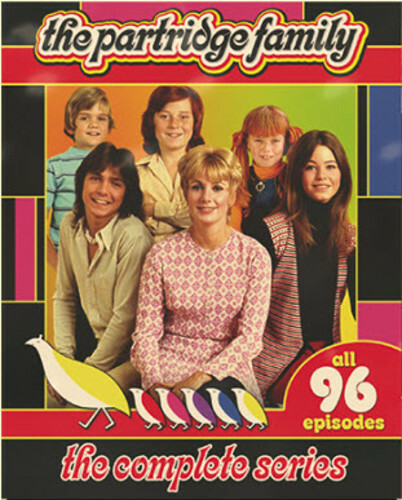 Starring Shirley Jones as matriarch of America's first family rock band, this complete series collection is your backstage pass to life, love, and laughs with the tuneful, terrific Partridge Family. Co-starring pop idol David Cassidy, Susan Dey, Danny Bonaduce, Jeremy Gelbwaks, Brian Forster and Suzanne Crough. Along for the ride is their beleaguered manager Reuben Kincaid. Featuring all of the songs you remember and an all-star cast of guests, prepare to get rockin' and rollin'. Hop on the bus with the Partridges for all 96 magical musical episodes!